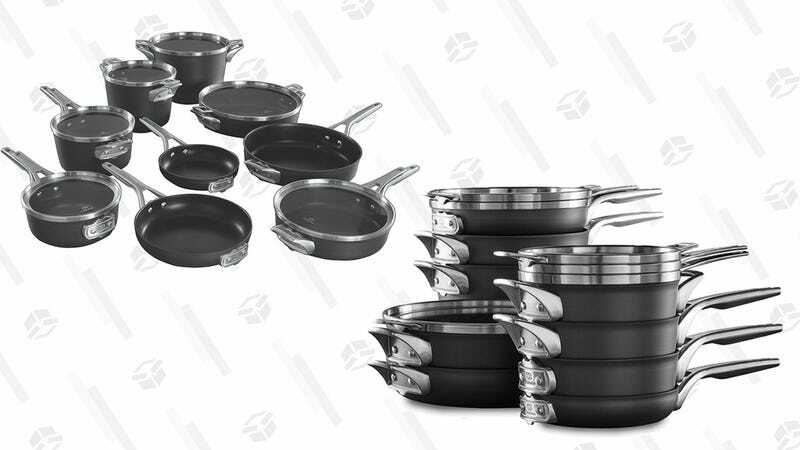 The pots and pans in this Calphalon set are designed to stack on top of each other, so all 15 pieces fit will fit in a much smaller footprint. Plus, this set is around $200 off today. Yes, $455 is still a lot of money, but if you love to cook, this would be a great buy since you’ll have all the pieces you need without taking up all the space. 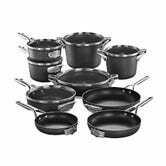 These pans are nonstick and hard anodized for more even heating, and oven safe up to 450 degrees.